It is the “bread and butter,” of many dentists, yet placing direct composites can create a number of unique challenges. Proper management of the adhesive interface, as well as an understanding of composite materials, is crucial for the predictable placement of direct composite restorations. This requires an understanding of the materials being utilized, the substrate being bonded to, and a correct and precise clinical protocol. Dr. Alex will present a practical step-by-step rational and methodology for the placement of direct posterior composites based on the latest research and materials. After the didactic portion of the program we will go chair-side as Dr. Alex demonstrates the placement of a direct posterior composite restoration. Understand the composition of composite materials. 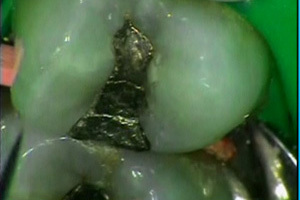 State the rationale for the materials that are utilized when placing a direct posterior composite. Learn a step-by-step protocol for placing direct composite restorations. I. Overview of composition of composite materials. II. Review of materials used when placing a direct posterior composite and the rationale for the use of those materials. III. Step-by-step protocol for placing direct composite restorations. IV. Clinical case presentation demonstrating the step-by-step protocol for placing direct composite restorations. Alex, Gary. Adhesive Considerations in the Placement of Direct Composite Restorations. Functional Esthetics & Restorative Dentistry. 2007:1(1):20-25. Alex, Gary. Preparing Porcelain Surfaces for Optimal Bonding. Functional Esthetics and Restorative Dentistry. 2008. Alex, Gary. RMGI Liners under Composites: Should they be used to help control microleakage? Inside Dentistry. 2005:December:30-33.